Closing the Guantanamo Bay detention facility “is a national security imperative,” an Obama administration official told the Senate this week. However, the White House faces tremendous opposition with the newly GOP-controlled Congress. Brian McKeon, a Pentagon official responsible for advising the secretary of defense on policy and strategy said that continuing to operate the infamous military prison is detrimental to the security of the United States during a Senate Armed Service Committee hearing on Thursday. Evoking the gruesome murder of a Jordanian military pilot carried out by the group calling itself the Islamic State earlier this week, McKeon warned Congress that US President Barack Obama and senior administration officials are serious about shutting down Guantanamo Bay, saying its existence only encourages further extremist activity. “The president and his national security team all believe that the continued operation of the detention facility at Guantanamo weakens our national security by draining resources, damaging our relationships with key allies, and is used by violent extremists to incite local populations” McKeon, a senior defense official, said in prepared remarks. “It is no coincidence that the recent ISIS videos showing the barbaric burning of a Jordanian pilot and the savage execution of a Japanese hostage each showed the victim clothed in an orange jumpsuit, believed by many to be the symbol of the Guantanamo detention facility.” Protesters clad in similar wear and opposed to the prison’s facility interrupted the hearing several times and were repeatedly removed by Capital police. But while the White House has advocated for closing Gitmo since before the start of the Obama presidency – and has come its closest yet by releasing nearly 30 detainees during the last calendar year – the administration is far from being on the verge of accomplishing as much, if Thursday’s hearing is any indication of what will come next. Four Republican lawmakers in the Senate Armed Service Committee – Kelly Ayotte of New Hampshire, John McCain of Arizona, Richard Burr of North Carolina and Lindsey Graham of South Carolina – have tossed their weight behind a bill that would prevent the administration from shuttering Gitmo, much to the chagrin of the White House. “Because this legislation, if enacted, would effectively block progress toward the goal of closing the Guantanamo Bay detention center, the administration opposes it,” McKeon told the committee on Thursday. With an end to Gitmo by any means leaving the administration with 122 detainees to deal with, though, committee leaders raised concerns during the hearing that doing as much might send suspected terrorists back on the battlefield where they can again launch strikes against America. “There has never been a plan” from the White House for dealing with potentially dozens of detainees if the center is shut, Sen. John McCain (R-Arizona) told witnesses at Thursday’s hearing. Yet while both McCain and Graham’s remarks appeared to suggest the Republicans are open to someday shutting Gitmo if the administration and Congress can reach an agreement, other attendees at Thursday’s hearing appear to have anything but the same inclination. Former Gitmo detainees released by the White House in 2014 have been sent to neutral, third-party nations, but the Obama administration has also considered transferring prisoners to facilities in mainland America. Sen. Tim Kaine (D-Virginia) suggested that the administration consider relocating Gitmo detainees to high-security supermax facilities managed by the US Bureau of Prisons and not the military. There have been 556 terrorism convictions reached in federal court since the September 11, 2001 terrorist attacks, Kaine said, yet the Guantanamo Bay military commission has only conducted eight trials in that same span. No person convicted of terrorism has ever escaped a supermax prison, Kaine said, and the same should be expected of any Gitmo detainee transferred to such a facility. “The benefits to national security of closing Guantanamo in many ways outweigh the risk posed by releasing prisoners,” responded Nicholas Rasmussen, the director of the National Counterterrorism Center and co-witness at Thursday’s hearing. 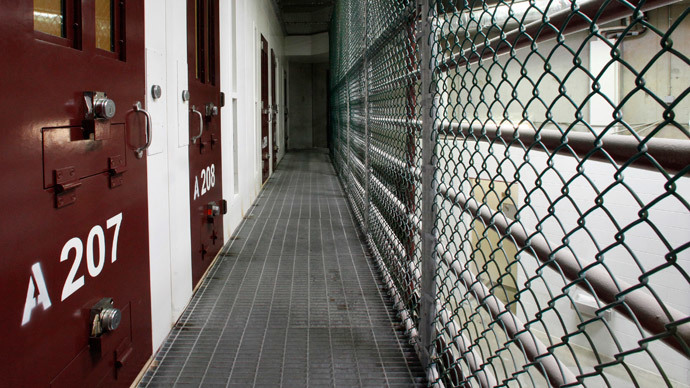 Out of the 242 detainees at Gitmo at the start of the Obama presidency, McKeon said, 122 still remain.